Take a brulee and hide a cinnamon doughnut at the bottom. It's a great surprise all in one. 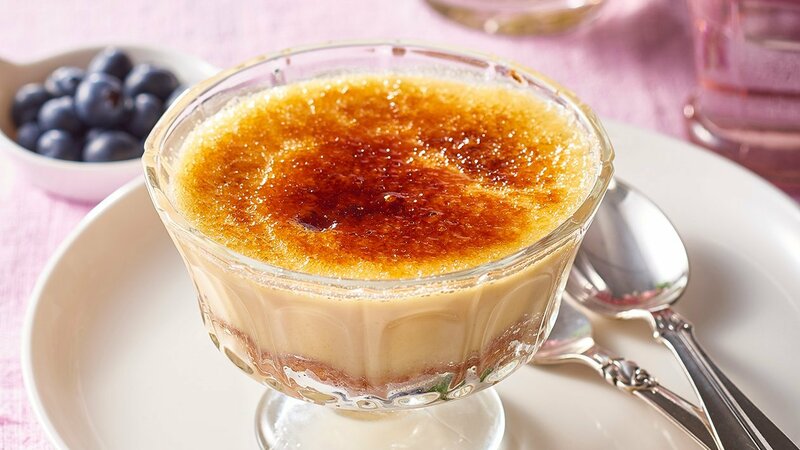 Bring the milk to the boil and whisk in CARTE D'OR Crème Caramel/Crème Brûlée Dessert Mix, then add the cream. Slice the doughnuts in half and place in a large tray, pour over the crème brûlée mixture and refrigerate until set. Sprinkle sugar over the brulee mixture and place under a grill on high until the sugar caramelises. Serve. This dessert can also be presented in glasses as shown.